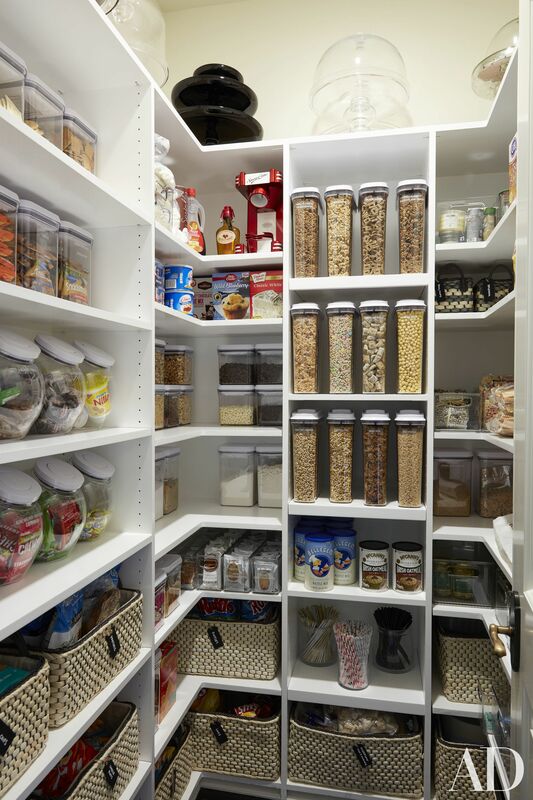 If only I had a pantry like this. 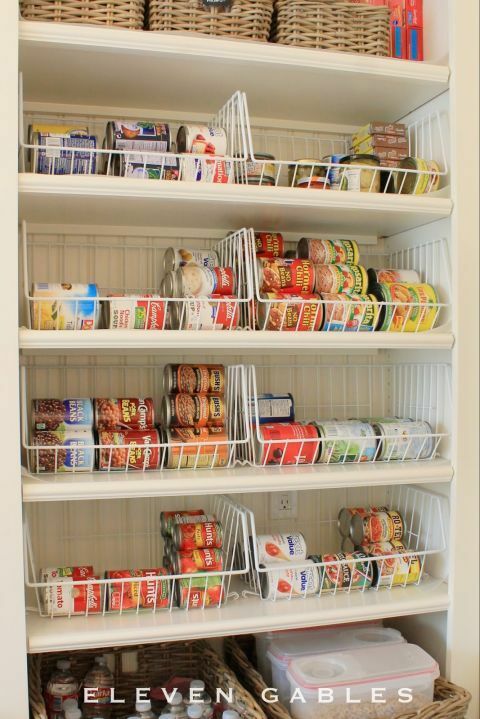 Create a "riser" at the back of shelves - takes advantage of vertical (otherwise wasted) space so you can see what's in the back rows! 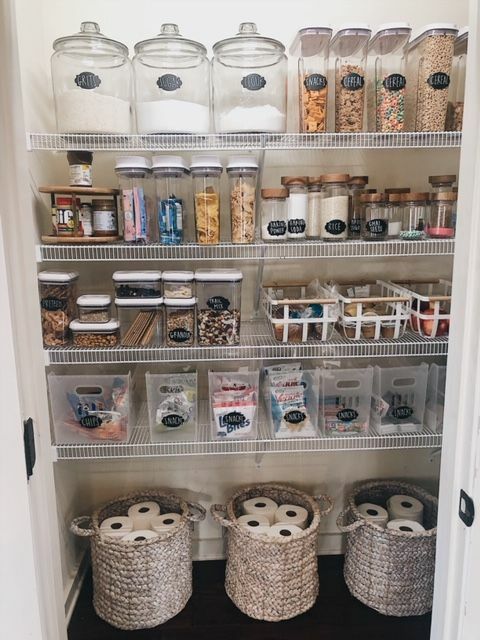 Also love the clear canisters and containers with chalkboard labels. 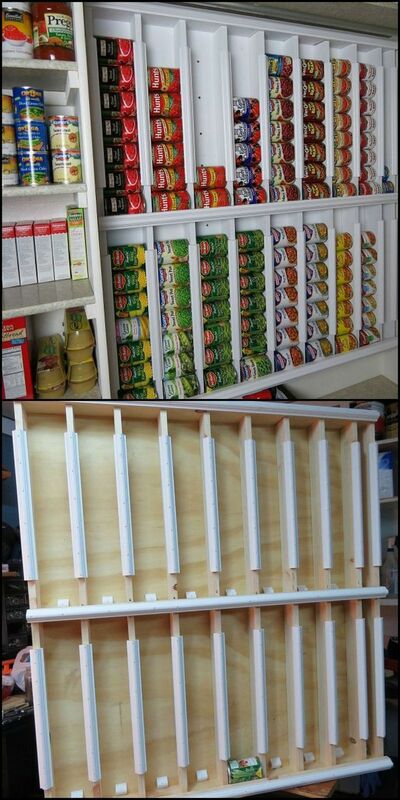 DIY Labels ~ Chalkboard Labels for the Pantry! 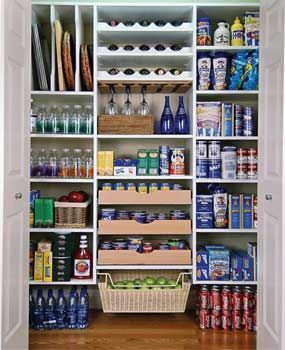 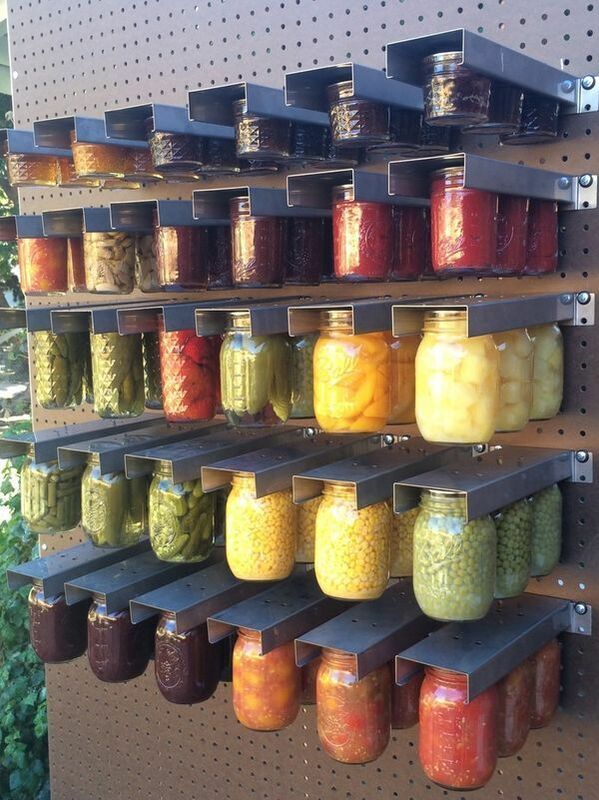 Pantry organization…ok this may be my new favorite site! 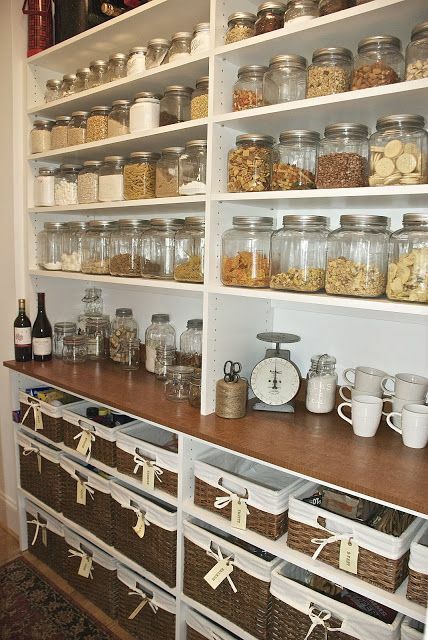 And I think organizing my house will be my new summer project! 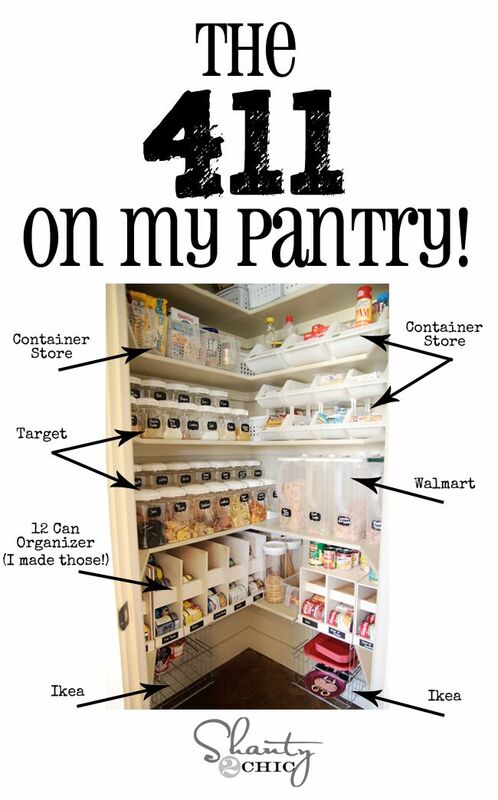 LOVE her ideas! 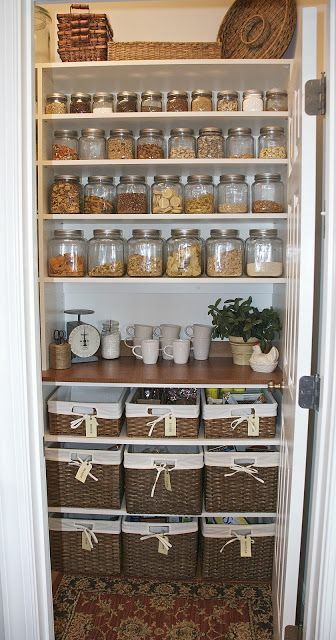 As part of the simplify my life challenge, we had to organise the pantry, so check out some inspiration for pantry organisation right here.